Racing Bikes are happy to present the famous Vilano Aluminium Road Bike 21 Speed. With so many on offer these days, it is great to have a name you can trust. The Vilano Aluminium Road Bike 21 Speed is certainly that and will be a excellent acquisition. 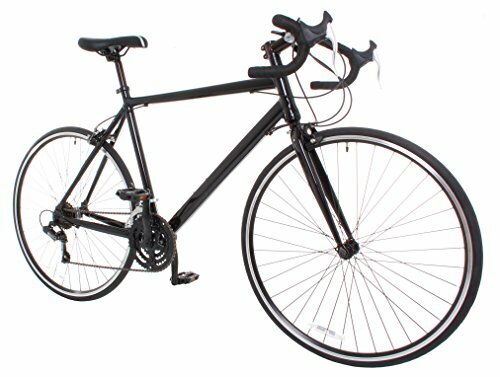 For this great price, the Vilano Aluminium Road Bike 21 Speed comes highly respected and is always a popular choice with lots of people. Vilano have added some nice touches and this equals great value for money. This is an affordable entry level 21 speed road bike, ideal for the daily commute. It features a lightweight 6061 Aluminium frame with an integrated headset and a Shimano drivetrain with A050 handlebar mounted shifters. The complete bike weighs in at an impressive 10.9kg, the lightest in it's class. Free pedals are included with every bike!